Whew! Just before the stroke of midnight, I’m ecstatic to say happy birthday to us! Yes, it’s been six years (give or take a few days) since this web site went live, and while the first article was the infamous sixteen word epic Forums Closed, it was really the second post on October 1, 2002 that kicked off what ARGNet (then ARGN) was to become. Thanks to all of our wonderful staff members, our dedicated volunteers, and our network partners who continue to lend their hearts and minds to this site, and extra special thanks to the readers who visit for the latest info on the best damn game genre on the planet. We’re happy to keep on keepin’ on. To another year, huzzah! 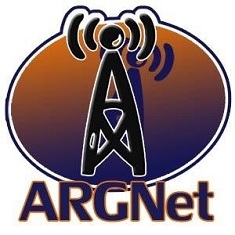 Congrats on another year ARGNet! I wish you the best, all of you! I miss you guys (and girls)! Happy birthday! I haven’t been roaming these pages long, but I plan to be here for a while. Congratulations to the whole team – those years have been earned many times over with your dedication.